If you’re using OneDrive in Windows 10 to backup your files, but it is not starting automatically after you login, this article is for you. Usually, when you setup OneDrive using your Microsoft account, Windows configures OneDrive to automatically start with the device, so that files start syncing. But in some causes, due to updates, third-party software or corruption in registry database, the setting to allow OneDrive at startup may be disturbed. As a result, you need to start OneDrive manually after each boot. Here’s how you can fix this problem, so that OneDrive automatically starts as soon as you login. 1. Right click on OneDrive icon on taskbar and click Settings. 2. In Microsoft OneDrive window, under Settings tab, you’ll find General heading. Under this, check Start OneDrive automatically when I sign in to Windows option to allow OneDrive to start with your Windows 10 device. Click OK.
Reboot your machine now and see if OneDrive automatically starts with Windows 10. If issue still persists, go ahead and try below mentioned registry fix. 4. 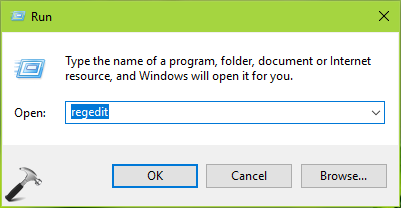 Finally, set the Value data to "C:\Users\<USERNAME>\AppData\Local\Microsoft\OneDrive\OneDrive.exe" /background. In this Value data, make sure you substitute C: with your system root drive and <USERNAME> with your actual user account name on the system. Click OK. Close Registry Editor and restart your system. On next boot, you’ll find that OneDrive started automatically with Windows 10.